In Africa, wireless technology is priceless. As mobile bandwidth is still expensive, users have found a haven in places offering a free WiFi connection. According to experts there is a great demand for the service and it might change the fortunes of the continent. WiFi could also be the answer to helping the millions of Africans without internet access. “Africa is the second biggest mobile market in the world and the fastest growing. 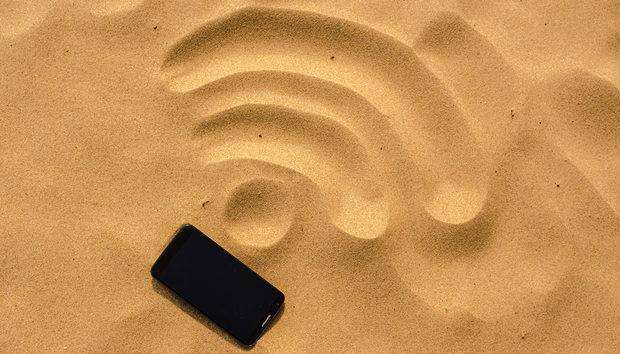 Demand is skyrocketing – and given the use of mobile devices, WiFi is proving to be an affordable and accessible means to connect 24/7,” Michael Fletcher, sales director sub-Saharan Africa at Ruckus Wireless, told IDG Connect. Fletcher also said that the cost of putting up 3G or 4G infrastructure is much more expensive than WiFi and hence many operators in Africa are embracing the change. He explained that WiFi will go a long way towards helping operators decrease CAPEX while increasing coverage and capacity because it can cost anywhere from 20-30% of an equivalent macro deployment. In March this year Liquid Telecom, a pan African fibre and connectivity company, launched a free WiFi programme in Nakuru, one of Kenya’s growing cities. The project, which cost the company US$400,000, was hailed as one that could spur the economic fortunes of the town. The town residents can now access free WiFi in a 10-kilometre radius from the central business district (CBD) with a capacity of one Gigabyte per second (Gbps). In October this year, Liquid Telecom went ahead and connected 10 Barclays bank branches to free WiFi for their customers. Barclays joins numerous establishments that have been offering free internet access for clients as part of its added value service. Apart from it being cheap to deploy as compared to LTE, WiFi does not need spectrum requirement from regulators. “Even in South Africa, we are seeing the mobile operators educating customers on the benefits of using WiFi for their mobile data requirements with GSM being positioned for voice. There is a clear demand for WiFi locally, and it’s up to the providers to find a solution on how to make it accessible and meet consumer demand,” Fletcher said. But there are hurdles preventing the proliferation of this avenue to the majority of Africans. According to Fletcher the foremost snag is the issue of lack of proper infrastructure. Fletcher bets on private and public partnerships with the government to cover the unreached plains of the continent. “It will require huge investments in infrastructure to enable WiFi deployments. It will take longer for areas in the outskirts of any country to be connected as naturally such developments start in the city and the more successful they become, work their way outwards,” he said. Apart from the general connectivity WiFi offers, there are other disruptive features that WiFi could deploy. Fletcher spoke of WiFi calling, without the use of third party VoIP services such as WhatsApp and Viber. The story of rural internet connectivity cannot be written without the impact of WiFi. Ventures such as Facebook and Google to connect the billions without internet access, is greatly anticipated. Fletcher welcomed any project that will give internet access to users. Fletcher believes that WiFi presents a significant opportunity to aid in the socio-economic development of many people. WiFi will enable users have access to services that they would normally not have such as easy connectivity without the limitations of mobile broadband.